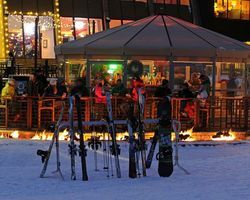 Steamboat Springs - SnowTours - Ski Trips FOR Skiers BY Skiers! 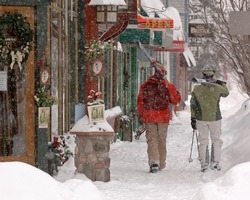 Steamboat Springs - SnowTours - Ski Trips FOR Skiers BY Skiers! Steamboat Springs is the place to be for a Colorado vacation. It is a full mountain range consisting of Christie Peak,Pioneer Ridger, Thunderhead Peak,Storm Peak,Sunshine Peak, and Mount Werner. Also,Steamboat Springs is home to the longest and most awesome superpipe in North America: the Mavericks Superpipe. It’s 650 feet long, 50 feet wide and has 15 walls. Steamboat Springs has some of the driest snow around. 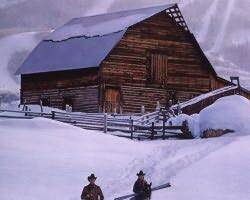 The snow has even been nicknamed “Champagne Powder” If you prefer to visit during the warmer months, definitely check out the Pro Rodeo. It has shows every Friday and Saturday night from mid-June throughmid-August.Steamboat Spring also features golf,rafting,horseback riding,hot air ballooning, and a kids’ adventure club. 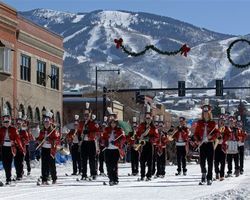 Dont’t miss out on Steamboat Springs! A place where western heritage and genuine friendliness are as honored as the values of a time gone by. And a place where not a whole lot has changed in the last hundred years. It’s just that now, mixed in with the Stetson hats and cowboy boots, is the sophistication of a world-class resort. Our western heritage, six peaks of world-class terrain, and family programs rated the best in the west by SKI Magazine, continue to set Steamboat apart from every other ski resort. Whether you’re stepping foot into a local pub, one of our charming boutiques, or stepping off the gondola, the reception is the same – warm. But the down home genuine friendliness is only half the reason people choose to vacation here. 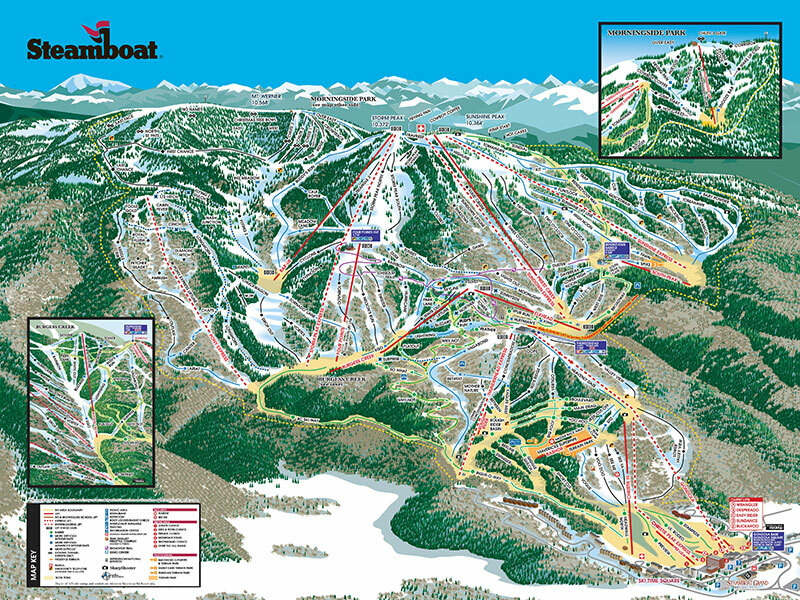 Nestled 7,000 feet up in the Colorado Rockies, Steamboat is one of North America’s largest ski mountains. With 142 trails, 3600 vertical feet, and nearly 3,000 skiable acres, its six peaks are filled with world-class groomed cruisers, bumps, steeps, open meadows, legendary tree skiing, and Mavericks, North America’s longest superpipe. Vertical Rise: 3,668 feet/1118 meters – Second highest in Colorado! Climate (Temperatures in Fahrenheit)Average Winter Temperatures: 45 degree days, below 30 degree nights. Steamboat is actually a complete mountain range: Mount Werner,Sunshine Peak, Storm Peak, Thunderhead Peak, Pioneer Ridger and Christie Peak. 2,939 acres (1176 hectares) of permitted terrain offer a diversity of trails for all levels of ability. Mavericks Superpipe, the longest on the continent, is a freerider’s dream. Mavericks is 650 feet long, 50-feet wide, has 15 foot walls, and a 17 foot radius. Steamboat’s SoBe terrain park adjacent to Mavericks, features an outdoor sound system, a variety of rails; kinked, sliders, rainbows, "S", mailboxes, double barrel, and Mini-Mav, a miniature version of the superpipe with five-foot walls, perfect for novice riders. 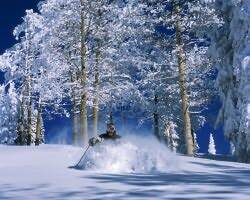 Gladed areas of Pioneer Ridge, Sunshine and Storm Peak are Steamboat’s particular claim to fame, with Champagne Powder® snow in the trees for the most avid powder hounds.